New business acquisition continues to be the single most difficult obstacle to consistent growth. Aligning prospect requirements with your corporate capabilities requires meaningful dialogue, predicated on action by the prospect. This commitment-oriented progression requires feedback which requires a willingness to offer your perspective early and often. It is no longer about just building a relationship, knowing the budget and beating the competition. Those elements are still there but dialogue, perspective and feedback progress the cycle today. Achievence's Business Development training ensures an understanding of aligning with the prospect's sales cycle, a demonstration of value through perspective and receiving the feedback necessary to differentiate yourself and accelerate the process. If new business acquisition is the single most difficult obstacle to consistent growth, then growing your embedded base of clients has never been more important to the health of an organization. There are a number of factors that lead to success in this vital area and Achievence has worked with more than 300 companies in this area alone. Several of the aforementioned principles apply—the difference is the starting point. As a deliverer of services, you already have credibility and access. The customer wants to know what you know. If you're meeting your performance objectives with the client, build the confidence to have meaningful dialogue. Use referrals to meet with the right people and present your perspective on the solution and reiterate the impact you've already had on the client. This emphasizes your credibility. Additionally, ensure you obtain feedback regularly. Achievence trains, engages and applies the tactics necessary to increase your comfort level and confidence along these lines. We not only train, we immerse ourselves in the opportunity to guide and accelerate the sales opportunity. Let us help. Growing your embedded base of clients has never been more important to the health of an organization. There are a number of factors that lead to success in this vital area and Achievence has worked with more than 100 companies in this area alone. First and foremost, you must be meeting your performance metrics with your client. Do NOT ask for more if you aren’t delivering on your present engagement. Second, have meaningful dialogue with your client about their future. You have credibility and access. Do not hesitate to build your perspective into the conversation. You need to be seen as a player/coach and not just a fan. Third, measure your progress by the commitments made by the client, not by how much work you’re having to do to move the conversation along. These may seem like common traits but we assure you it doesn’t happen as often as it should. Your client does not want to go outside their present providers to get the job done. Make sure they know what you’re capable of doing above and beyond your present engagement. Achievence trains, engages and applies the tactics necessary to increase your comfort level and confidence along these lines. Let us help. • Are the deal drivers inherent in all aspects of the plans? • Are the plans for the first 30 days clear and communicated? • Is there a mid-term plan in including key metrics? • Are the right resources allocated and coached properly? • Are the key executives in-place and properly prepared? • Are governance processes in place? • How are communications being orchestrated? • Managing customer impact, expectations and satisfaction. Our comprehensive approach enables you to establish processes for governance, decision-making and communication. Having a single controlling mechanism for managing domain activities that articulates the correct post-acquisition integration roadmap ensures all activities are aligned with goals. 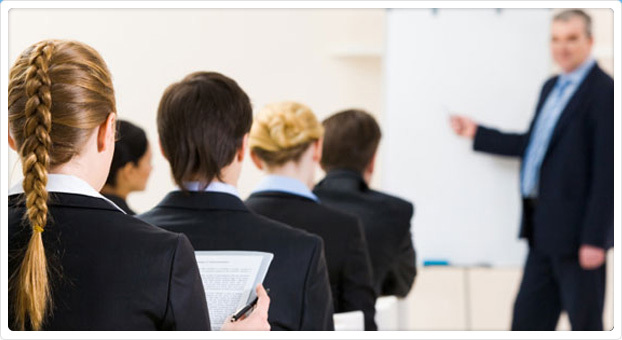 Training methodologies when combined with some natural ability can produce a very powerful force for business growth. But much of the problems come with the transfer of knowledge between members of the seller’s organization and the buyer’s organization. Achievence has developed proprietary tools such as “Commitment Oriented Progression” pipeline theory, the “Post Sales Call Playback”, the” P6” Capture and account plan, a management dashboard and others to support the efficiency and replication of improved sales and BD pursuits. All designed to accelerate the knowledge sharing and knowledge transfer processes that improve the chances for more of these successful pursuits and improved and more rapid leadership decision.